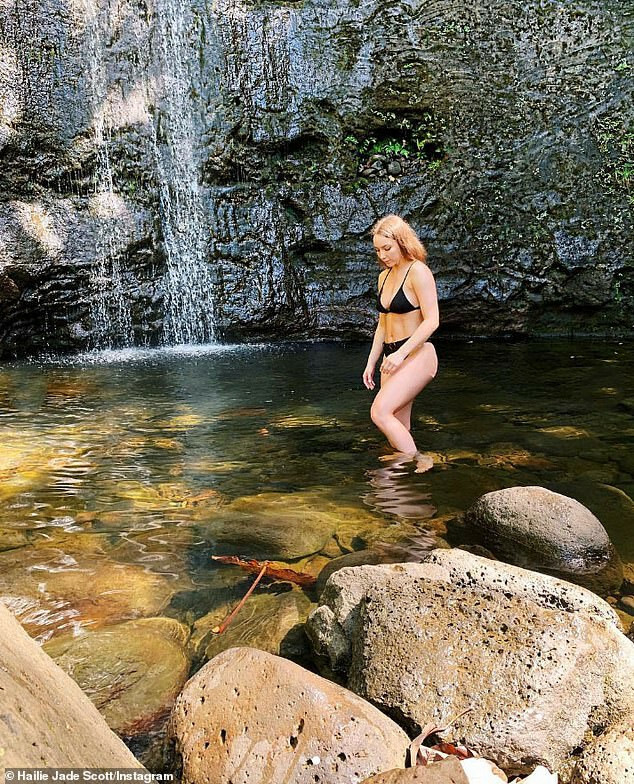 Eminem’s daughter, Hailie Scott Mathers, 23, who recently went on a trip to Hawaii has flaunted her bikini body in a black swimwear. Her father, Marshall Bruce Mathers III (born October 17, 1972), known professionally as Eminem, is an American rapper, songwriter, record producer, record executive, film producer, and actor. He is consistently cited as one of the greatest and most influential artists of all time in hip hop, with Rolling Stone placing him in its list of the 100 Greatest Artists of All Time and labeling him the “King of Hip Hop”. Eminem is the best-selling artist of the 2000s in the United States. Throughout his career, he has had 9 number-one albums on the Billboard 200 and five number-one singles on the Billboard Hot 100. He is the only artist to have nine albums consecutively debut at number one on the Billboard 200. With over 220 million records sold globally, Eminem is among the world’s best-selling artists of all time.